I have been to Vegas many times because my mom had a passion for slot machines. I would bring her and either my daughter, Lisa, or my sister, Sandie, would join us. We would leave Mom at her slot machine and we would go and find things to do on the strip or downtown. 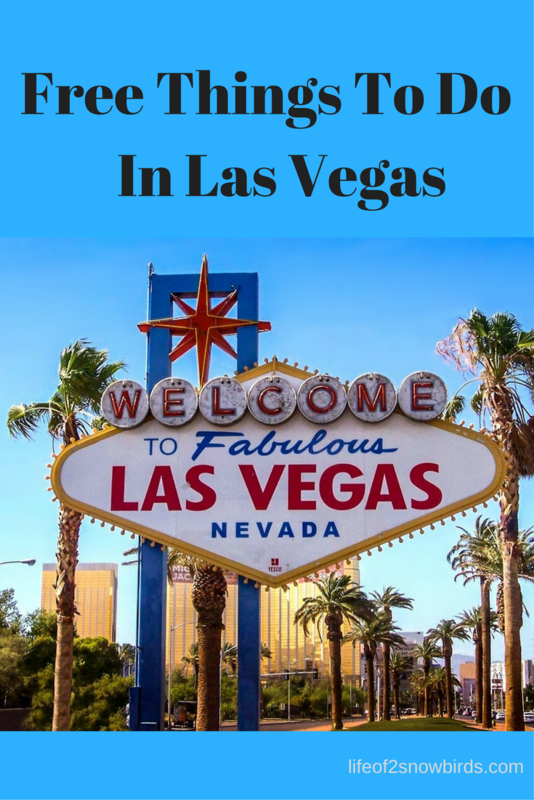 There is so much to see and do in Vegas and lots of it is free! 1. Check out the hotels. If you walk it will be a totally free and fun thing to do. Every hotel is different and lots of them have something extra besides their unique decor to get you to stop by for awhile. You'll want to see the gorgeous flower displays at Bellagio's Conservatory & Botanical Gardens. It's absolutely free and well worth the walk to see it. It's really impressive. Across from Bellagio you'll find Flamingo Las Vegas. They have a wildlife habitat there that we love. You can see many different kinds of exotic birds, fish and turtles and of course, flamingos. When you're downtown take a look at the 61 pound gold nugget at Golden Nugget. They paid more than $1,000,000.00 so that it could be displayed and enjoyed by everyone visiting the hotel. You can't see a nugget bigger than this anywhere in the world. Just a little heads up - the hotels are not as close to each other as they appear to be and you might be walking miles depending on how many hotels you plan to see in one shot. Some hotels though are easily accessible to each other via a free shuttle or tram so well worth looking into as you're planning your tour of the area. Also the bus that runs up and down the strip is reasonably priced though not free. 2. 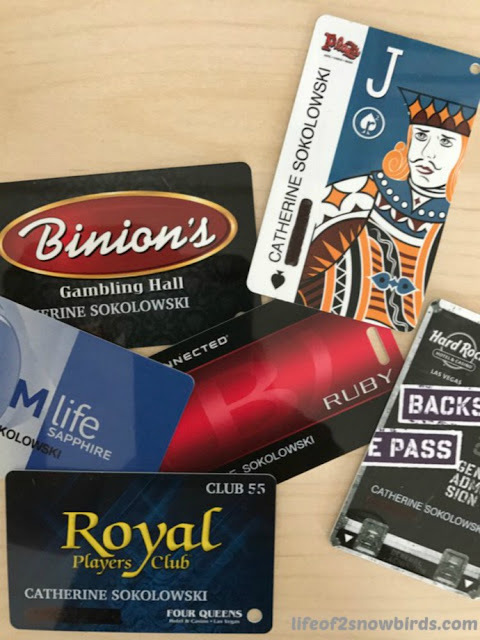 Collect the hotels player's cards. Me and Lisa spent most of our time, on one of our many trips to Vegas, just going from hotel to hotel signing up for their player's cards. Almost all of the hotels will give you something free to sign up. We got free play money to use on the slot machines, decks of cards, tee shirts and more. We had a great time collecting our free gifts and some of them wound up being souvenirs for the hubbys we left at home! 3. Enjoy free shows offered at the hotels. 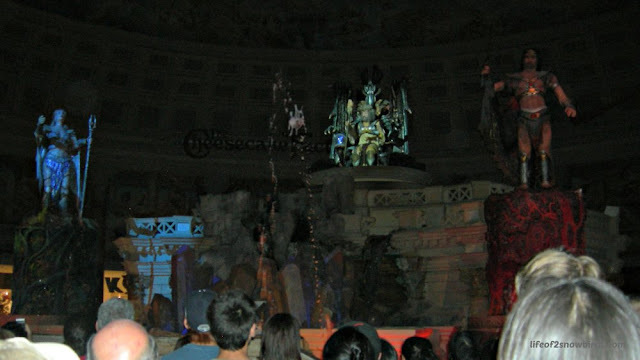 One of our must-sees when we are in Vegas is the Caesar Palace's free show Fall Of Atlantis. The gigantic talking statues along with the special effects makes this show very entertaining and attracts many viewers so get there early to get a good spot to watch it. The spectacular outdoor water show presented by Bellagio is not to be missed. The combination of the dancing water, light show and music is such a treat for all your senses. Do you love circus acts? From the trapeze artists to the clowns you can see them all at Circus, Circus. It's the only free circus I know of so go and enjoy! 4. Find free things to see and do along the strip and downtown. You can find lots of free things to do when you venture out of the hotels and onto the strip and downtown. Visit M&M World to see more M&M's in one place than you'll ever see then enjoy the free 3-D movie starring Red and Yellow. Head downtown to the Downtown Container Park, created from recycled shipping containers, especially if the kids are with you. They'll enjoy the playground, that includes a 33-foot-tall slide and over sized foam building blocks, while you enjoy the food from one of the restaurants in the park. We really enjoyed the tacos at Pinches Tacos and the brisket at Big Ern's BBQ. (We did have to shell out some cash for that!) Stay in the downtown area until evening to enjoy the Fremont Street Experience. You'll find free live music there and make sure you look up as you stroll down the pedestrian mall to witness an amazing light show suspended 90 feet above the ground. These are some of the free experiences we've enjoyed in Vegas. There is a lot more free things to do and see there that can keep you very busy. You probably won't be able to do it all in one vacation. Vegas can be a very affordable vacation for retirees on a budget as long as you don't run into too many one-armed bandits! UNLV is a great place to go. 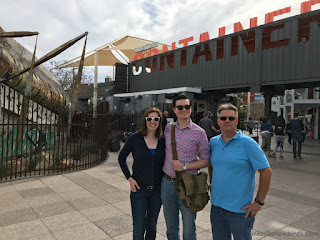 It is amazing the things you can do for free in Vegas - thank you so much for sharing these! It can be an expensive place to visit if you don't have insider tips like these :-) Thank you for being a part of the Hearth and Soul Link Party! And it is fun to seek out the freebies! Thank you for having me at your party! when we went a few years ago, i was all over trying to find free things to do. the show at treasure island used to be much more family friendly and less vegas girl, but it was still ok.
That show closed which is too bad because it was one of the best free shows you could see in Vegas. 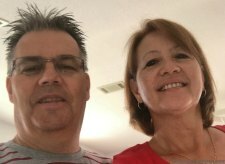 I agree with you that it got very Vegas girl AND Vegas guy! Walking through the hotels is definitely a fun free thing to do. 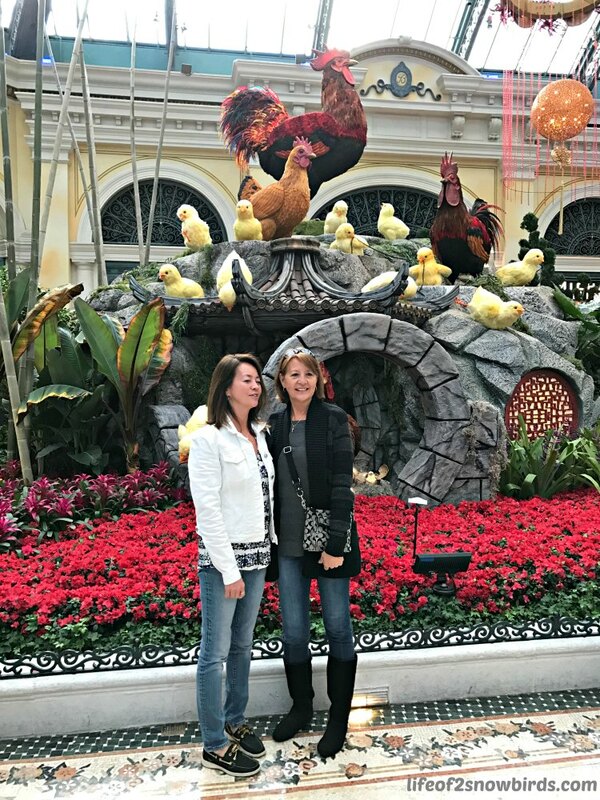 Caesars is one of our favorites and Bellagio was really pretty during Christmas. Caesars is amazing. I will have to plan my next trip to Vegas around Christmas. I would love to see how Bellagio's botanical gardens look then. Thanks for sharing!